The Bergman Continuum Group at Morgan Stanley is a comprehensive wealth management practice headquartered in New York City. We have assembled a broad and experienced team of professionals with extensive knowledge across a wide range of asset classes and disciplines. Our team is committed to helping clients with every aspect of their financial needs, including portfolio management, retirement planning, estate and tax strategies, wealth transfer, and cash management and lending services. As a client of The Bergman Continuum Group you benefit from the attention and personalized care of a family office coupled with the strength and resources of an industry leader. The Bergman Continuum Group is committed to providing a personalized experience to affluent individuals and families with considerable assets and complex financial needs. We take great pride in clearly explaining every aspect of our process and hold transparency and liquidity as key tenets of our investing philosophy. We perform our own due diligence while also leveraging the resources of one of the world’s premier wealth management firms. 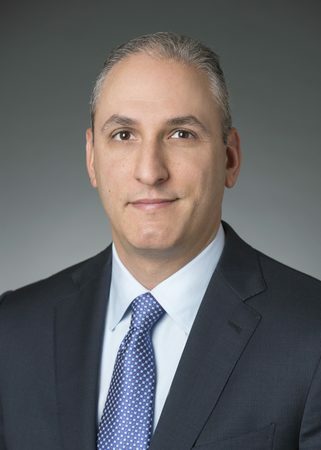 Scott Siegel has been featured in Barron’s Magazine as a member of their Top 100 Advisors in the country, of which he was included in 2010, 2011 and 2012. He has also been a guest panelist on CNBC’s “Power Lunch” sharing his insights on the markets. By building a diverse, first-class team, The Bergman Continuum Group has dedicated itself to managing and preserving the wealth of a select list of high net worth clients. We look forward to working with you. better understand the risks that investors face and invest accordingly. We believe that our core value is helping clients identify their short and long-term financial goals and building a financial plan that will allow them to achieve their financial objectives. Whether your focus is immediate income, building wealth for retirement, or providing a lasting financial legacy, the Bergman Continuum Group draws upon decades of financial market experience to fashion a financial roadmap that is unique to you as an individual. In so doing, the Bergman Continuum Group strives to provide timely communication and investment transparency, which will provide maximum flexibility and choice regarding your investment options and portfolio construction. Protecting the assets our clients entrust to us is our highest priority and, in pursuing that commitment, we are dedicated to mitigating the uncertainty that comes with investing in financial markets and achieving your financial goals and freedom. Each new relationship begins with an exploratory meeting to better understand our client’s unique situation. By analyzing your current investment assets, tax status, risk tolerance, return objectives, liquidity needs, investment time horizon, and potential estate planning concerns, we can form the basis for creating your investment policy and asset allocation. When relevant, we will work closely with other members of your financial team including Tax Specialist, Trust Attorney, Insurance Professional and Family Office to help secure your financial future. Shelley Bergman Named to Barron’s “Top 1,200 Financial Advisors"
with extensive knowledge across a wide range of asset classes and disciplines. As Managing Director and Senior Portfolio Management Director for The Bergman Continuum Group, Scott oversees every aspect of the business. These responsibilities include Investment Management, Portfolio Construction and Strategy, Trading, and Client Service. He is a veteran of the financial industry and brings 34 years of investment management experience to The Bergman Continuum Group. Having led his clients through multiple bear markets, Scott’s knowledge and wisdom is critical to helping ultra-high net worth clients navigate challenging economic times and turbulent markets. Scott and the team’s shared goal is protecting client assets in times of market uncertainty and producing steady returns over the long run. With this goal in mind, Scott and the team are constantly monitoring equity and fixed income markets to identify investment opportunities and to avoid pitfalls. Scott was previously employed by J.P. Morgan Securities LLC and has also held positions with Bear Stearns and Co., Lehman Brothers and First Institutional Securities Corporation. Scott has been featured in Barron’s Magazine as a member of their Top 100 Advisors in the country, of which he was included in 2010, 2011 and 2012. Scott has also been a guest panelist on CNBC TV’s “Power Lunch” sharing his insights on the markets. Scott is a graduate of The University of Maryland with a Bachelor of Science degree in Finance from the Robert H. Smith School of Business. He is active in several charitable organizations and currently sits on the board of the DREAM Project, which aims to break the cycle of poverty in the Dominican Republic by running inclusive, sustainable education programs for children and youth. Scott and his wife Deborah currently reside in West Orange. They have two daughters, Amanda and Jaynie, who currently reside in Manhattan, NY. As Senior Vice President and Senior Portfolio Management Director for The Bergman Continuum Group, Mehmet has almost 20 years of experience in helping high net worth individual and family clientele shape and implement their overall asset allocation strategies. He began his career at Global Securities (USA) Inc. as an Institutional Sales Trader where he specialized in emerging market equity and fixed income investments. Mehmet spent 11 years at J.P. Morgan Securities LLC and Bear Stearns and Co. before coming with the team to Morgan Stanley. He provides institutional-level perspective and service while working with clients on the big picture, and then narrows down investment solutions and portfolios for clients to help meet their overall investment needs. Mehmet leverages the full resources of the team to build tailored portfolios designed to meet the specific investment objectives and income needs of each client based on their individual circumstances. He has also helped clients monetize their businesses by connecting them with the vast resources available through Morgan Stanley’s Investment Banking division. Mehmet is a graduate of Georgetown University with a Bachelor of Science degree in International Economics from the Edmund A. Walsh School of Foreign Service. He holds a Master of International Affairs degree in International Finance and Banking from Columbia University’s School of International and Public Affairs. Mehmet was recognized on Turk of America magazine’s “40 under 40” list of most influential Turkish-Americans in 2016. He is active in a variety of charitable and social organizations, including Turkish Philanthropy Funds (Chairman of the Board), and Foreign Policy Association (John Whitehead Fellow). Mehmet currently resides in Manhattan, NY with his wife Audrey and their two children, Reese and Sadie. As Senior Vice President for The Bergman Continuum Group and Portfolio Manager, Steven co-heads the group’s fixed income research, strategy and implementation process. He brings over 20 years of experience trading and investing in the fixed income markets to his role as Financial Advisor. Prior to joining The Bergman Continuum Group, Steven was a Managing Director and Portfolio Manager for Millennium Management, a large multi-strategy hedge fund. He began his career at Goldman Sachs and spent 12 years there trading various products within the Fixed Income, Currency, and Commodities division. His experience includes trading corporate bonds, preferred stocks, credit default swaps, treasury bonds, and agency debt. Steven has extensive knowledge of both the investment grade and high yield credit markets, having traded and managed risk on credits throughout the ratings spectrum. Steven graduated in 1998 from Cornell University with a B.S. in Economics. Away from the office, he is intimately involved with ACDS, an agency in Plainview, NY providing lifetime services to children and adults with Down Syndrome, Autism, and other developmental disabilities. Steven currently resides in Brookville, NY with his wife Julie and their children, Logan and Zachary. As Associate Vice President, Michael brings over ten years of fixed income experience to The Bergman Continuum Group providing in-depth fundamental and technical analysis across a broad spectrum of fixed income and equity investments. 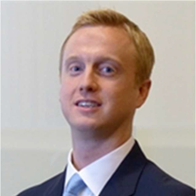 Michael co-heads the team’s fixed income research, strategy and implementation process. As the result of Michael’s specialized training and experience, he has attained the highly regarded Certified Portfolio Manager designation. This allows him to identify, construct and manage investment portfolios, on a fully discretionary basis. In addition, Michael works closely with both credit analysts and traders to discover and implement investment opportunities in the fixed income markets. Before joining Morgan Stanley, Michael was an investment advisor at J.P. Morgan Securities LLC, Bear Stearns & Co. and RBC Dain Rauscher. 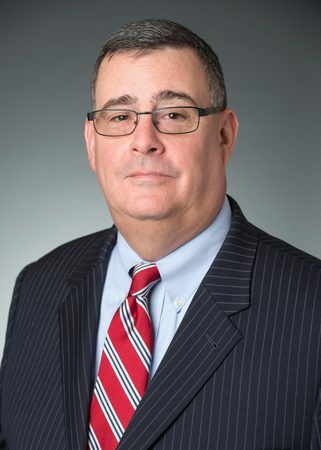 Michael received his MBA in Management with distinction from the Frank G. Zarb School of Business at Hofstra University and his Bachelor of Science degree in Business from Green Mountain College in Poultney, VT. Michael is a member of the Municipal Bond Club of New York. Michael currently resides in Garden City, NY with his wife, Megan and his son, Finn. 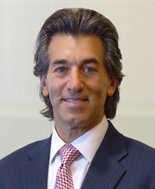 Mark Altman is a Senior Vice President, Financial Advisor, and Senior Portfolio Management Director at Morgan Stanley. He came to Wall Street in 1978 and spent much of his career analyzing equities and producing research for hedge funds, mutual funds, investment counselors, and state pension funds. Before joining Morgan Stanley he was a Managing Director at UBS Investment Bank and headed the firm’s U.S. research department, one of the largest and most successful on Wall Street. At UBS he chaired the U.S. Investment Review Committee and was a member of the U.S. Equity Operating Committee, Americas Equity Business Committee, Research Management Board, and Equity Commitment Committee. He was a top-ranked analyst (ranked by Institutional Investor Magazine) at PaineWebber and Merrill Lynch, where he held positions prior to joining UBS. Mr. Altman holds a BA in economics from the University of Pennsylvania and an MBA from the Amos Tuck School at Dartmouth College. Howard Perkins is a Senior Vice President, Wealth Advisor and Senior Portfolio Management Director at Morgan Stanley. Previously, he also held the title of Senior Vice President and Senior Portfolio Manager at UBS Financial Services, Inc., from 2003 until 2009. In March, 2014, 2015, 2017, and 2018 he was named to the Financial Times’ list of Top 400 Financial Advisors. * In February 2018, he was named to Forbes Magazine’s inaugural list of America’s Top Wealth Advisors: State-By-State. **Before joining UBS, Mr. Perkins was a Senior Vice President at Gilford Securities, Inc. where he was also a member of the Board of Directors and the Management Advisory Committee. He holds an MBA from Indiana University and a BA from the University of Colorado. *The Financial Times Top 400 Financial Advisors is an independent listing produced by the Financial Times (March, 2015). Source: Forbes.com (Jan. 2018). America’s Top Wealth Advisors: State-By-State ranking was developed by SHOOK Research and is based on in-person and telephone due diligence meetings and a ranking algorithm that includes: client retention, industry experience, review of compliance records, firm nominations; and quantitative criteria, including: assets under management and revenue generated for their firms. Investment performance is not a criterion because client objectives and risk tolerances vary, and advisors rarely have audited performance reports. Rankings are based on the opinions of SHOOK Research, LLC and are not indicative of future performance or representative of any one client’s experience. Neither Morgan Stanley Smith Barney LLC nor its Financial Advisors or Private Wealth Advisors pay a fee to Forbes or SHOOK Research in exchange for the ranking. For more information: www.SHOOKresearch.com. As Director of Business Strategy for The Bergman Continuum Group, Doug brings over 30 years of financial industry experience to the team. Doug focuses primarily on operational issues and provides leadership and coordination on all client service requests. He is the point person for all compliance and day-to-day operations on the team. Doug has acquired a strong understanding of client needs and his breadth of experience enables him to help provide prompt solutions on a multitude of operational and compliance issues. In addition to having his Series 7 and 66 securities licenses, Doug is a Series 8 General Securities Sales Supervisor and a Series 14 Registered NYSE Compliance Officer. 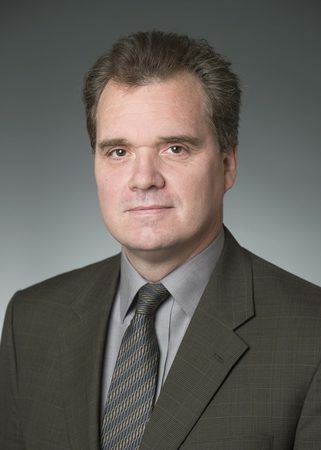 Prior to joining Morgan Stanley and its predecessor firms in 2008, Doug was the group administrator with The Bergman Continuum Group at Bear Stearns. Doug currently resides in Middletown, NJ with his wife Maureen and their two children, Danielle and Dillon. As Portfolio Manager, Kurt oversees The Bergman Continuum Group’s proprietary ETF portfolio strategy. Drawing on 27 years of equity market and analytical research experience, he also advises clients on stock market trends, asset allocation, investment themes and individual security selection. Before joining Morgan Stanley and its predecessor firms in 2008, he was a Managing Director in the Equity Research Department of Bear Stearns where he spent nine years focusing on investment and portfolio strategy. During that time, he was twice a member of Institutional Investor Survey’s #1 ranked investment strategy team. As a member of The Bergman Continuum Group, Kurt focuses primarily on financial markets, securities analysis and investment and portfolio strategy. He holds a Bachelor of Science degree in Geology from the University of Iowa and a Master’s in Financial Management from Pace University’s Lubin School of Business. He is a Series 86/87 Registered Research Analyst and a Series 7, 63, and 65 Registered Securities Agent and Investment Advisor. Kurt currently resides in Carmel, NY with his wife Nina, and their two children, Elana and Luke. As Associate Vice President for The Bergman Continuum Group, Joe focuses on developing asset allocation and investment strategies for high net worth individuals, families, and institutions. 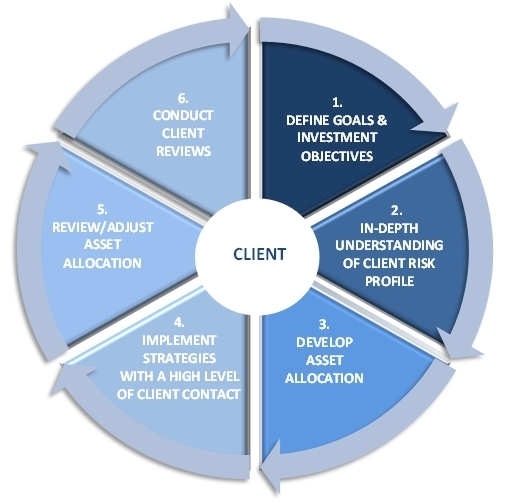 Through a process of understanding a client’s many complex financial needs, he structures holistic financial plans that integrate portfolio construction, risk management, investment selection, trust & estate planning, retirement planning, insurance, and credit management. 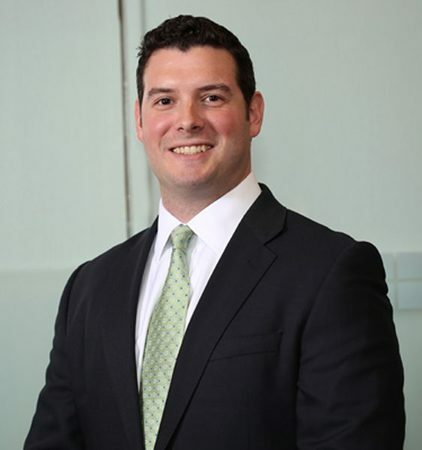 Joe has attained both the Chartered Financial Analyst (CFA) and Certified Financial Planner (CFP®) designations, and is currently a member of the New York Society of Security Analysts and the Financial Planning Association. Prior to joining Morgan Stanley, Joe was a Financial Advisor at UBS Financial Services and he began his career as an equity trader at Lynx Capital. Joe graduated from Villanova University with a Bachelor of Arts degree and a double major in Economics and Psychology. Joseph currently resides in Manhattan, NY. 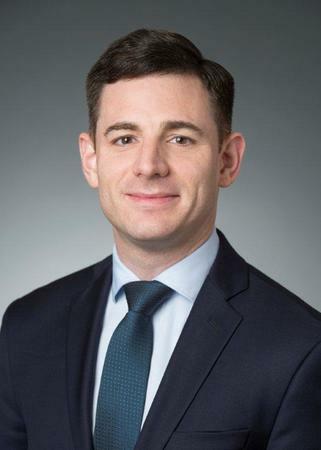 Steven joined Morgan Stanley in 2006 and is a Portfolio Management Associate and a Certified Financial Planner™ with the Bergman Continuum Group. In this role he is responsible for overseeing the Group’s Sales and Trading activities. He works closely with the Group’s Portfolio Managers in executing our different investment strategies and manages the oversight of the team’s research efforts. Steven is also tasked with keeping our clients abreast of overall market conditions and coordinating the group’s syndicate business. Prior to joining Morgan Stanley, Steven worked as an Associate at Deutsche Bank Asset Management covering both ultra-high-net-worth clients and middle-market accounts. Steven began his career in 2004 as a Registered Representative for Neuberger Berman advising clients on the firm’s proprietary Mutual Funds. 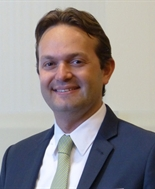 He holds a Bachelor of Business Administration with a degree in Finance from Stetson University in Deland, FL. Steven currently resides in Hoboken, NJ with his wife Tatiana. As your first point of contact for The Bergman Continuum Group, Giselle ensures that clients receive the highest level of service they expect and deserve. She focuses on the team’s service and operational strategy to enhance the day to day functions of the group. Liaising with team members, she manages client projects that allow the group to cultivate new and existing relationships. Additionally, Giselle works closely with the team to provide administrative and client support. Drawing on a wealth of experience and leveraging key knowledge of firm policies and procedures, she makes sure client requests are completed in a thorough and timely manner. Giselle has 10 years of experience in the financial service industry. 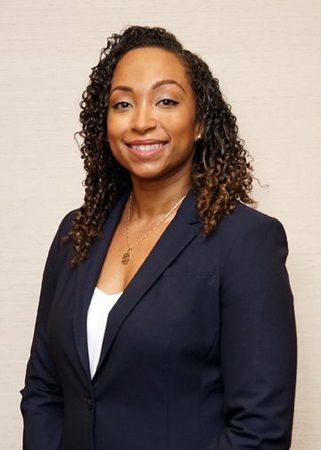 Prior to joining The Bergman Continuum Group, Giselle worked at Jefferies Wealth Management as a Registered Sales Associate servicing a multitude of accounts, including RIAs, family offices, hedge funds, and high net worth investors. She began her career at Citi Smith Barney in their Private Bank Branch. Giselle has a Bachelor of Business Administration degree in Finance from Pace University’s Lubin School of Business. She currently holds her Series 7 and 66 securities licenses. Giselle currently resides in Rego Park, NY with her partner, Jeffrey. As Wealth Management Associate for The Bergman Continuum Group, Tara’s primary focus is on providing first-class client service and strategic operational support to the group’s clients. Since coming to Morgan Stanley with the team in 2013, she has gained a thorough understanding of internal processes and procedures allowing her to promptly handle a variety of client needs. 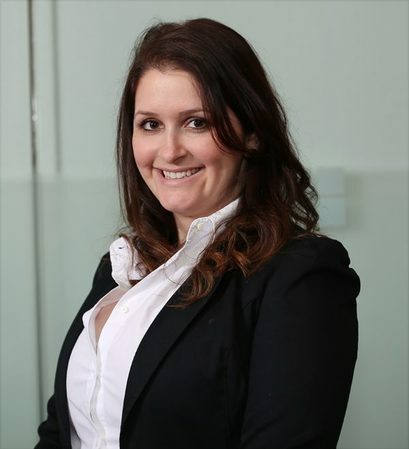 Tara’s priority is to forge closer client relationships and help ensure that clients are always connected to their financial information both online and in person. She guides clients through the account opening and enrollment processes, facilitates account reviews, and interacts with many facets of daily client account maintenance. Tara is also the team’s point person for all client events ranging from interesting guest lecture series to cultural events. Tara joined The Continuum Group in 2006 at Bear Stearns and Co. after graduating from the Alfred Lerner School of Business at The University of Delaware with a double major in Management and Marketing. Throughout college she was a member of Alpha Epsilon Phi and had held a position on their Executive Committee. She is a regular participant in the Alzheimer Walk to End Alzheimer’s and supports various other organizations. She currently holds her Series 7 and 66 securities licenses. Tara currently resides in Manhattan, NY with her husband, Jonathan. As Portfolio Associate, Anita brings over ten years of financial services industry experience to The Bergman Continuum Group. She provides fundamental client support in all phases of operational service and account maintenance, including daily processing support for transaction business requests and disbursements. 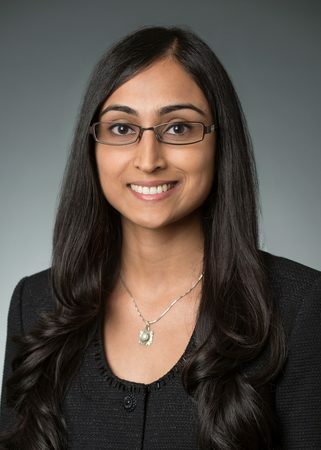 After beginning her career as an Analyst with Merrill Lynch, Anita joined Morgan Stanley in 2006 where she served as a Client Service Associate with The Friedlander Group in Fort Lauderdale. Prior to joining the Bergman Continuum Group, Anita was a Project Manager in Transition Management Services based in New York City. Anita serves on the Board of Directors of the Nanubhai Education Foundation, sits on the Advisory Board of Delta Phi Omega Sorority, Inc., and serves as the Vice President of Philanthropy and Volunteers on the University of Florida Gotham Gator Club Executive Board of Directors. She is also a mentor for The Fresh Air Fund. Anita holds a Bachelor of Arts degree in Business Administration with a specialization in Mass Communication from the University of Florida. She currently holds her Series 7 and 66 securities licenses. Anita currently resides in Manhattan, NY with her husband, Anish. As Portfolio Management Associate for The Bergman Continuum Group, Daniel works with the team’s Portfolio Managers to help ensure that clients receive the best possible execution and works seamlessly with the firm’s numerous trading desks. Daniel is also tasked with coordinating the equity and fixed income syndication efforts, which include IPO, Secondary, Preferred, and Municipal bond offerings. Previously, Daniel was an Associate at UBS Financial Services Inc. covering institutional clients, family offices, and several ultra-high-net-worth investors. His primary focus was to manage the equity investments for the team's proprietary income and growth portfolios. In addition, he performed due diligence on single manager equity and alternative fund strategies for their client's separately managed accounts. 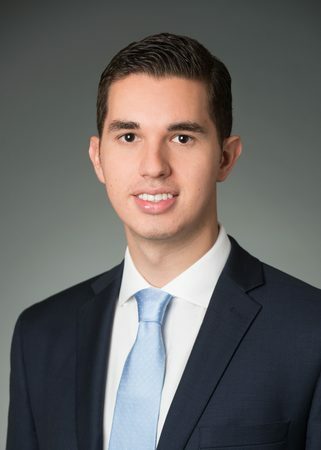 Daniel began his career in 2010 as an Analyst on the trading floor at Credit Suisse covering equity swaps, credit default swaps, and interest rate products. Daniel earned a Bachelor of Science with a Finance concentration in Applied Economics and Management from Cornell University. He currently holds his Series 7 and 66 securities licenses. Daniel currently resides in New York City, with his wife, Molly.